Steaming food has a lot of advantages over other cooking methods. The gentle heat of steam allows for meats, such as chicken wings, to become more moist after cooking. It also allows for quicker cooking times. Vitamin and color retention among vegetables is also optimal when cooked with steam. One problem with traditional metal steaming baskets is that they don't offer a whole lot of cooking space. But do not fear—I've come up with a simple way to steam multiple layers of food with a DIY steamer basket. It's very cheap, too! 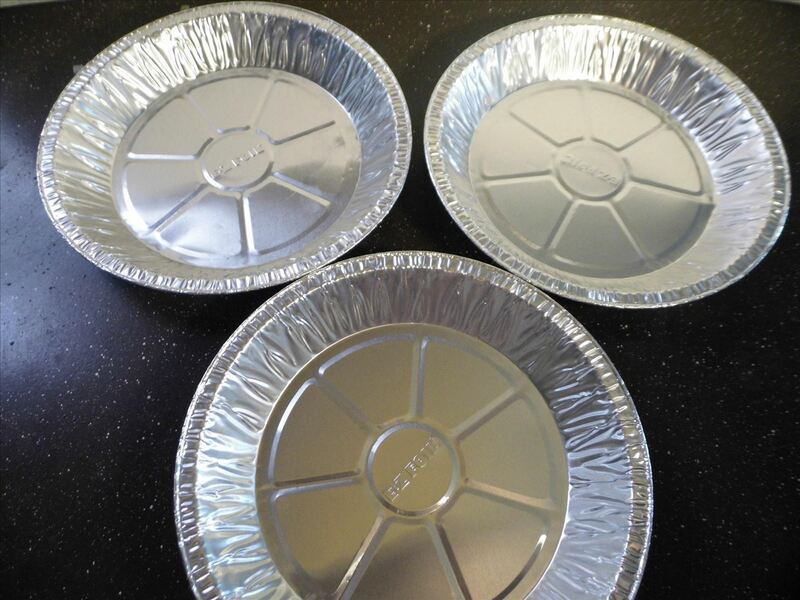 Set pie tins out into an even layer. 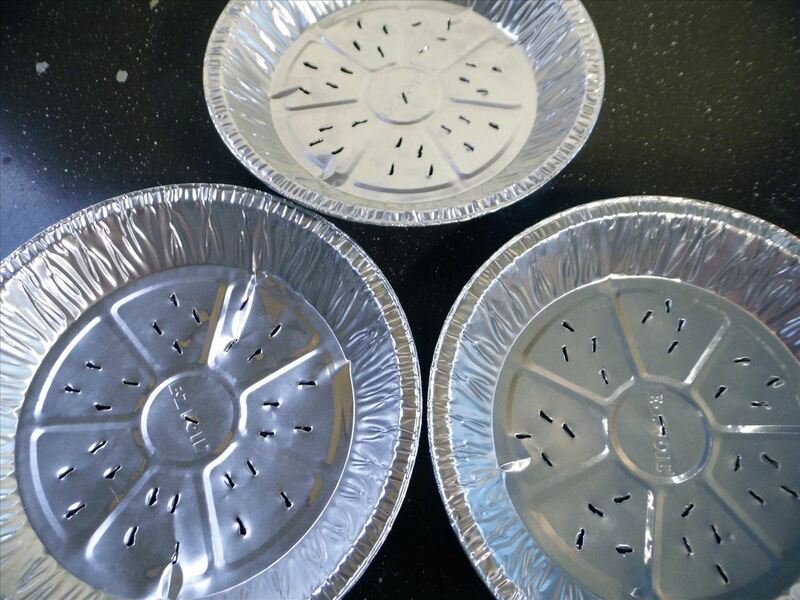 Using your scissors, poke four holes in each section of the first pie plate, and one in the center. 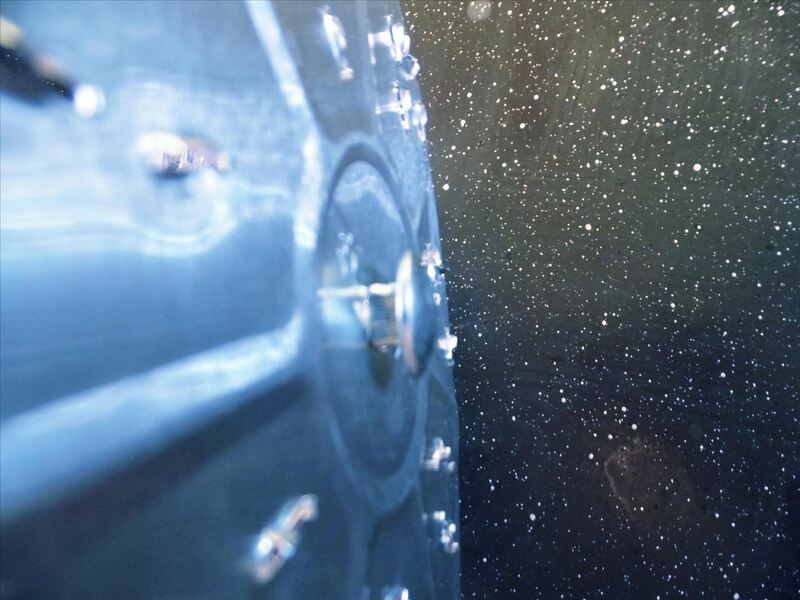 Make sure the holes are big enough to allow ample steam to pass through, but not so big that food will fall through. Repeat with all pie tins. 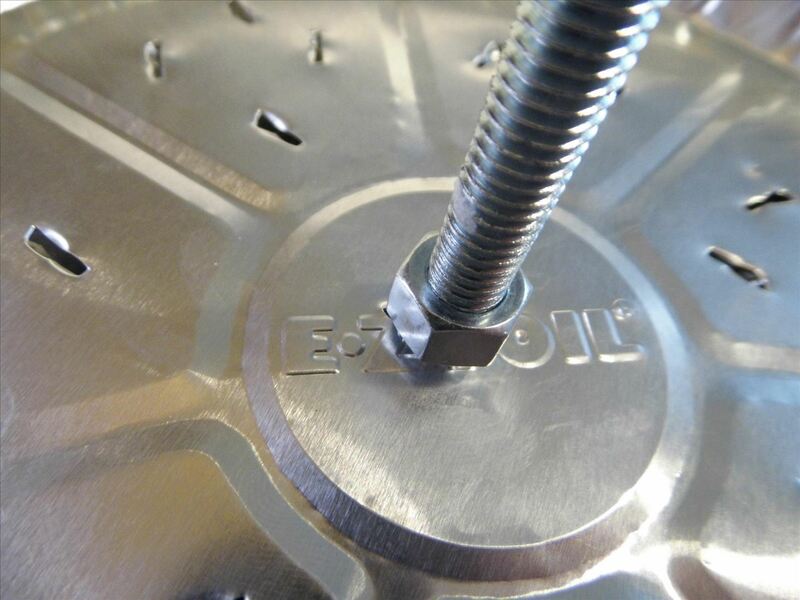 Thread a hex nut onto the bolt all the way to the bottom. 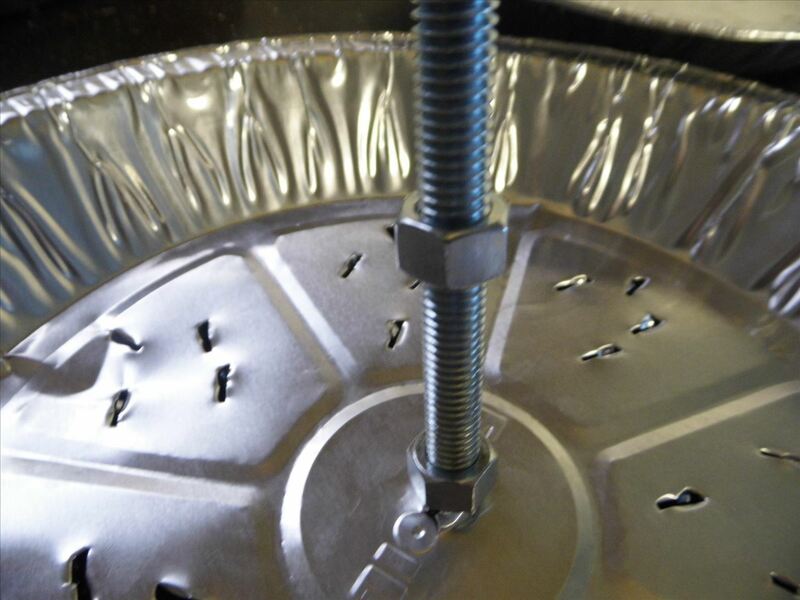 Place the first pie tin on top of the hex nut, through the center hole. 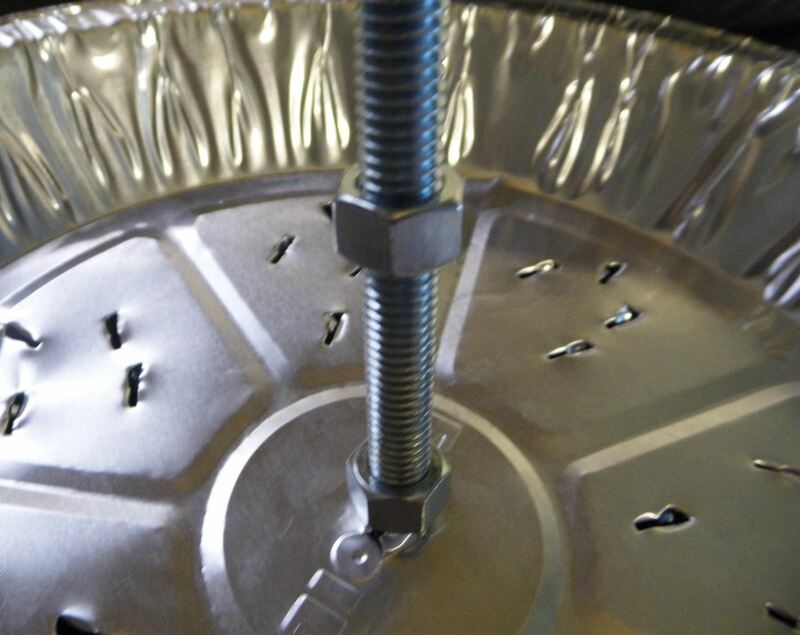 Thread another hex nut on the bolt so that it is resting on top of the bottom pie tin. Tighten it. Thread another hex nut onto the bolt about two inches up from the previous. 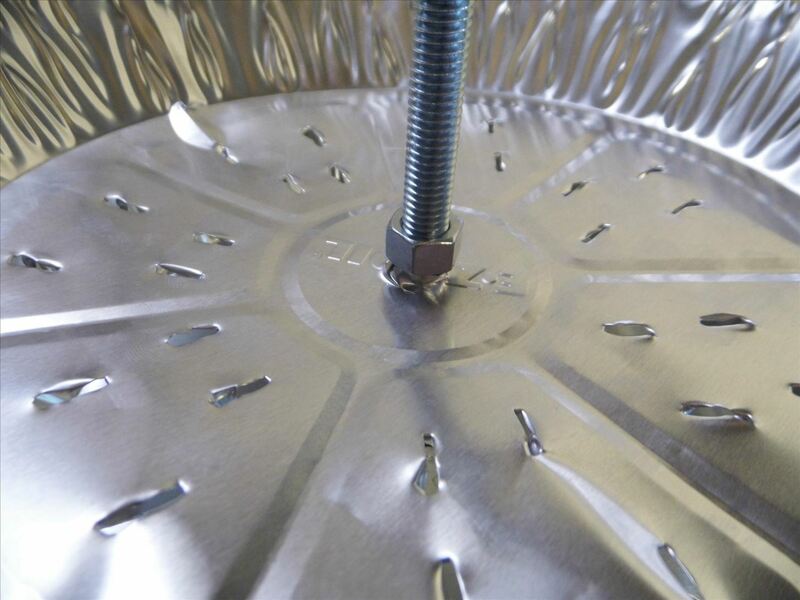 Place another pie tin on the bolt, just like before. Add another hex nut on top of it, just like before. Put another hex nut on the bolt, again about two inches up from the previous one. Place the final pie tin on top of the hex nut, then thread another on top to tighten it in place. You're done! 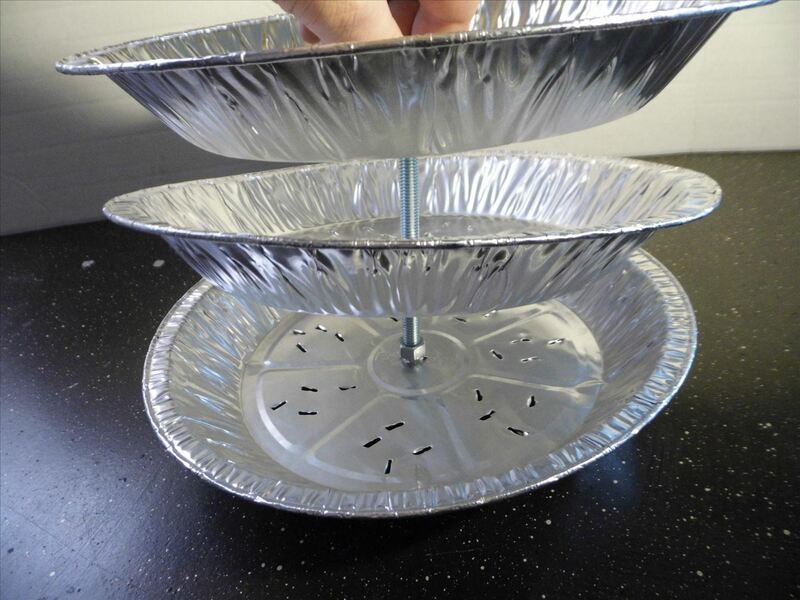 To use it, simply put a small layer of water in the bottom of your pot of choice and bring it to a boil, place the food in each layer, lower the rig into your pot and cover. Remember, make sure you don't put so much water in the pot that it bubbles up into the bottom layer of food. That would be a whole different cooking method! Also, be sure to keep food safety in mind. Keep meat and heavier foods on the bottom layer to avoid cross contamination, and save vegetables and lighter food for the top layers. 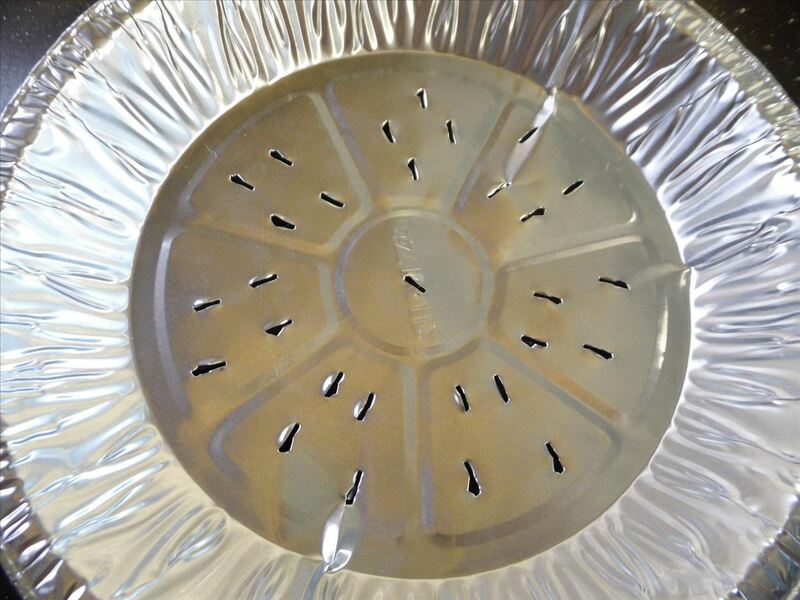 Do you have a better way to steam food in a homemade steamer? Tell me about it in the comments section! that is a brilliant idea! I find it very handy and creative, Good job!! Well what is so good about this is that when it does rust, the items are so inexpensive you could just make another! Instead of the bolts, what about those stands from pizza boxes? Love this idea, just learned how to make chinese dumplings and they were amazing, but had to steam in small batches. This hack would make it so much faster.